A few years ago, I remember seeing a curious piece of gear worn by iconic some Japanese tenkara anglers (including Dr. Ishigaki): knee and shin guards. Basically, they were black neoprene “leggings” worn over waders that had padded knees and were secured with Velcro straps. I had never seen anything of the sort in the American market and at the time dismissed them as an unnecessary gimmick–just one more thing to add to the already tedious ritual of writhing into and liberating oneself out of waders, right? 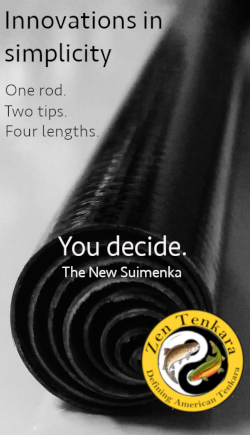 But then, interest among Western tenkara anglers really piqued on social media about them. People were asking where they could get these guards and for a while, the only places were Japanese websites with no translation, high prices, and long shipping times. There were a few pioneers who saw their worth and were willing to endure the process. I was not one of those people. 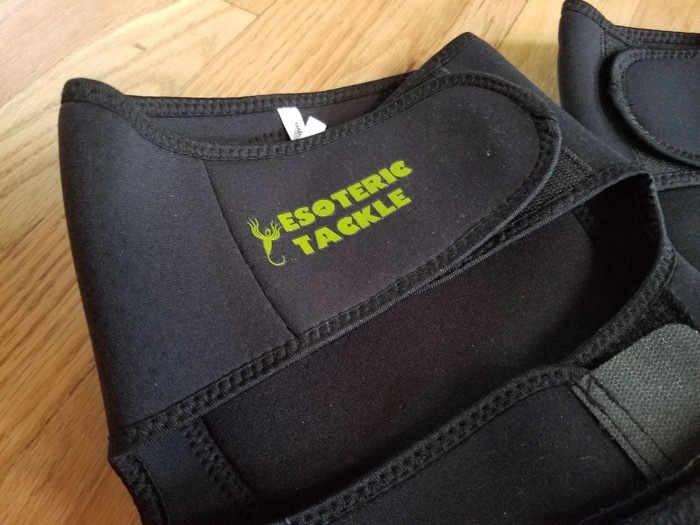 Recently, I was sent a pair of shin and knee guards from Esoteric Tackle and had a chance to try them which finally gave me an opportunity to see their value first hand. My first impression was that these were incredibly well made with high-quality neoprene, thoughtful design, and impeccable stitching. My second thought was that there’s a particular stretch of the Big Thompson in the canyon outside of Estes Park, CO where these would be especially useful. On one trip, I must have bumped my shins into boulders more stubborn than my ex-wife at least a dozen times. In retrospect, it would have been nice to have had some buffer (and I mean between both). That run is mostly textbook pocket water strewn with boulders that requires a lot of crouching, climbing and kneeling (which isn’t exactly wader friendly). What better way to protect $300 waders than with $48 guards that will greatly extend their lifespan? Plus, they’ll see you through several pairs of overpriced waders during your entire fishing career. It just seemed like a good investment. Of course, I don’t think guards are necessary in every situation, but they certainly do make sense in some. 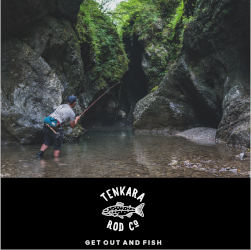 Whether you fish streams that require a bit of climbing in territory that makes your expensive waders cringe or you just want a built-in, go-to comfort zone to slap onto your favorite fishing pants or shorts, these are a good solution–well made, durable, practical, inexpensive, and from a trustworthy English-speaking company you can easily ask questions to and order from. Read the reviews on their website. I think you won’t be disappointed. You may just want to snag a pair to avoid snags on your fishing attire of choice. 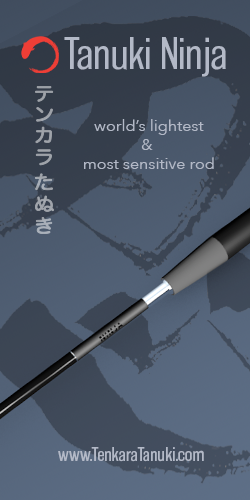 They are great on flat-water stretches where one needs to be stealthy. I got some paint-ball shin guards that work well. Jason, These are great! I do a lot of kneeling on stream when fishing shallow water and although my hip boots are not as expensive as waders, they do not protect my 60 year old knees. 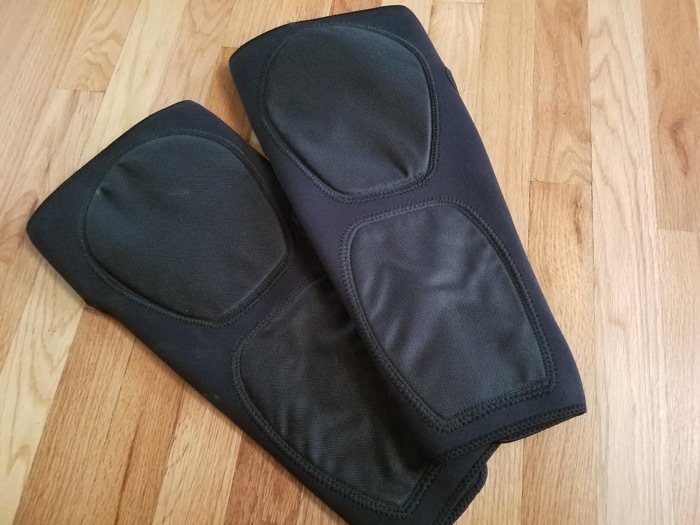 I was using sports knee pads, but these look more useful. Thanks for the review. 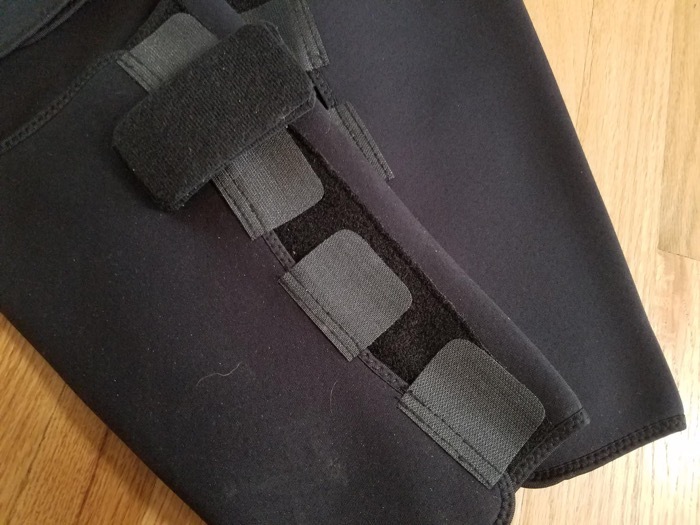 For those of us fishing in colder climates, who stick with breathable waders through the winter, the extra layer of neoprene on the lower leg really helps with the warmth. By binding flappy waders to you’re leg you’re a lot more streamlined in the water. I really think wader guards these make wading in fast currents a degree or two easier. this is especially true in colder water which seems to push harder. For those with “well muscled” calves, like me, there are extenders available to increase the length of the straps. 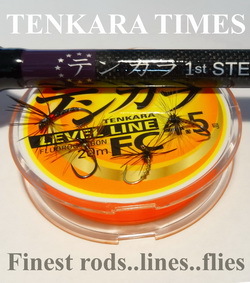 Spend over £100 and the postage is FREE anywhere in the world from Esoteric Tackle. I use these kinds of neoprene gaiters too, but for wet wading. A word of caution from experience – while these work well to protect your waders, there is a serious downside to using them with waders rather than using them for what they were designed for – wet wading. You see, these are designed for wet wading and being worn with a neoprene sock rather than over waders. Why? Because it’s neoprene and it traps your body heat between your skin and the fabric, in order to keep you warm. That translates into removing the breathability of your waders almost completely when you wear these on top. So basically what happens is that your perspiration cannot escape through the neoprene and keeps all your sweat in. You just removed the whole reason you have dry waders – breathability and waterproofing. The result of that is damp, sweaty and moist wader legs under the neoprene guards. In the case of older and or thinner waders, this can even result in total wet-out, actually negating the waterproof property of the fabric and allowing water to soak through. Either way, be it from water or sweat, chances are you’ll have wet legs after a while. So for short periods of time on the water, a couple hours, this isn’t a big problem. But overall, it can create annoying problems, especially after an active day on the river. I highly recommend saving these for wet wading and just wearing them on their own over a neoprene sock. They are very warm and you should be able to fish down into the low 40’s in that wet wading setup without freezing at all. There’s nothing wrong with being wet from the knee down when you’re warm. You won’t stay as warm though in a soaked set of dry waders under those gaiters once yournwaders wet out. Thank you for your comment, now let me put your mind at rest. 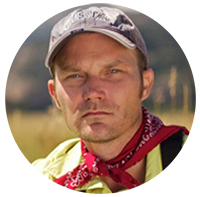 The neoprene is a special type of breathable neoprene with pores that allow the breathing of your waders to continue. If you look closely you can see the pores in the pictures. Anyone using regular neoprene shin guards or knee pads will have the problems your describe. You will not have any of the these problems using the specialist breathable neoprene that is used in the construction of these wader guards. 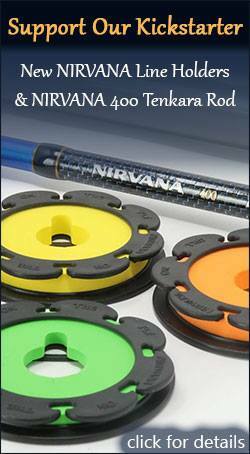 I have used these wader guards in near freezing conditions for full days wading and fishing without any of the issues you have described. Wow that’s great Daniel, thanks for the heads up. Couldn’t see it in the photo, but I believe you. Great attention to detail there… I don’t think there are others on the market like that. So these are dedicated for over-wader use and summer time wet wading use I’d presume? Yes, they work great for wet wading as well. The pores are not so big that the water gushes through. It has time to warm up and the pores allow the vapour to escape in the same way the breathable material does. The wide straps help keep a close fit for best results. I’ve got a pair. Brilliant. Provides really good protection against brambles gorse and thistles. I used them throughout the summer and didn’t have any problems re breathability. Very interesting, looking forward to hearing some more reviews. 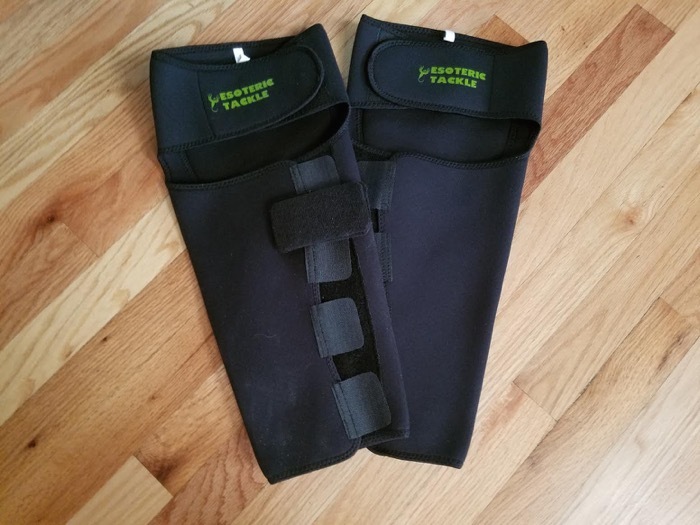 I tried a pair of similar shin guards from TenkaraBum, but my legs are so lean (read: scrawny) that I couldn’t tighten them down enough, and they’d slip around.